For those not attending Comic Con International Marky will be doing an in store appearance and signing at FeeLit in San Diego on Thursday July 24th from 4:00PM-6:00PM PST. 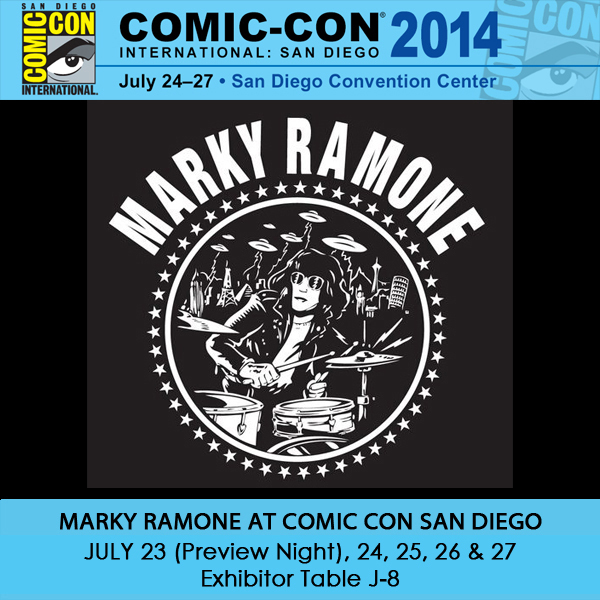 After Comic Con Saturday Night July 26, 2014: Marky Ramone’s Til-Two Party. 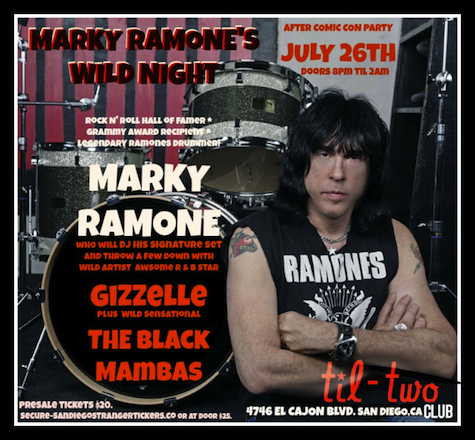 Marky Ramone will DJ an exclusive set along with performances by Wild Records Recording Artists The Black Mambas, Rock the House and Gizzelle Andrea Becerra. For more information and tickets click here or on the photo below.